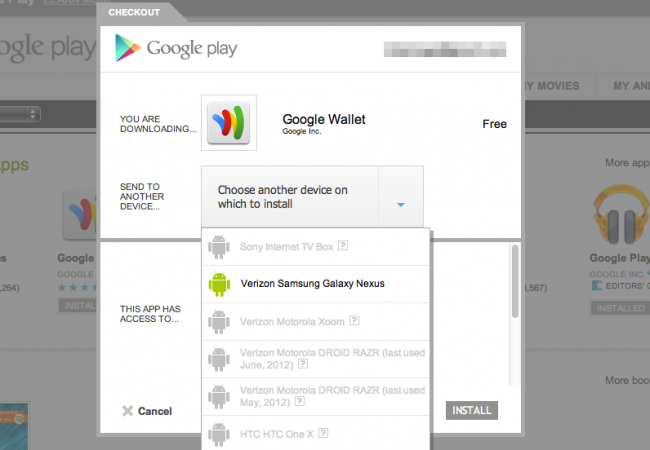 Google Wallet and Verizon’s Galaxy Nexus Play Nice After 4.0.4 Update? So we aren’t sure if 4.0.4 and this newly found compatibility is Google’s way of saying, “Piss off,” or if Verizon has given it the thumbs up. Either way, we pulled up the listing in the Play store and it also showed that our VZW Nexus (100% stock) was compatible. It installed without issue and even allowed us to re-add our previous card and balance. Feel free to check for yourself and let us know. Update: The first batch of comments are leading us to believe that this may not be the case for everyone. What’s odd is that both myself and our reader are as stock as it gets (I’m not even rooted at the moment) and it installed without issue. Continue to let us know in the comments what your outcome is. Verizon's Galaxy SIII Stops by the FCC, Shouldn't Launch be Next?